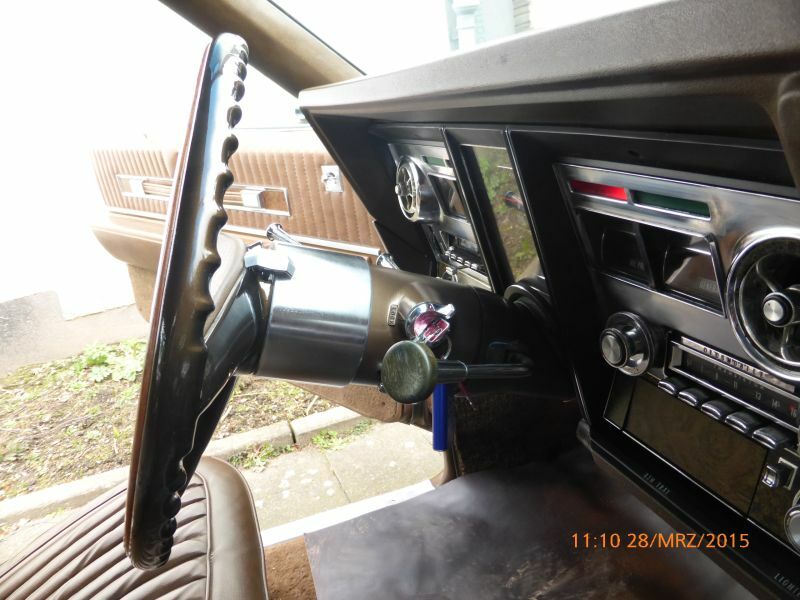 last year i´ve bought a beautiful 70´Toronado. Everthing works, except the airco. During the last wintertime i´ve restored the original rim blow steering wheel. the old rim blow switch did not work, it was cracked and the rubber feels nearly like stone. So i removed the steering wheel, repaired all the cracks, did some new paint. As well i´ve build a new wooden decor ring for the steering wheel. A new switch did i found at virginiaclassicmustang.com. I had to cut it on the right length but without problems. Now it looks like a new original GM Rim Blow Steering wheel. 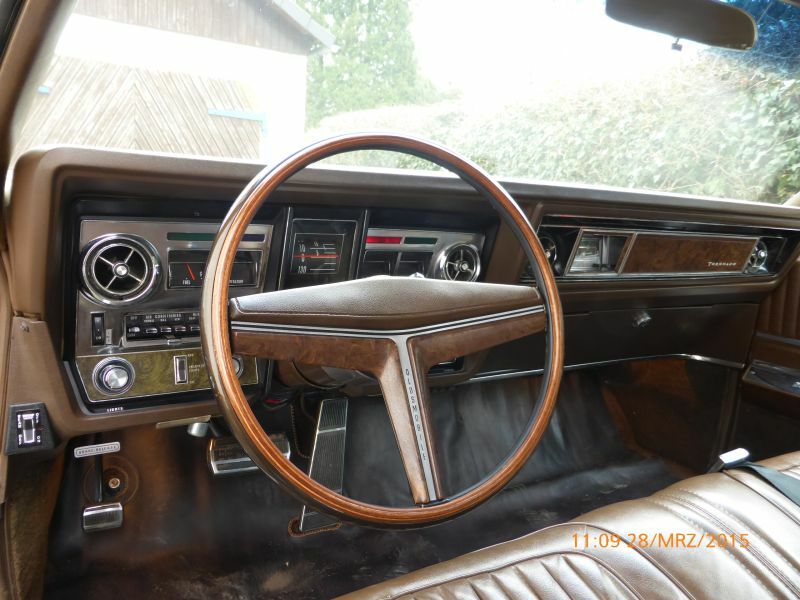 If there is anybody who want a new steering wheel for his Toronado, send it over and i´ll restor it. Looks very good. I have a 1969 Toronado and I'm situated in the Netherlands. What will this restoration service cost? Years Owned: I have an 1968 toronado its running now sind 18 years..
ziet er idd mooi uit maar is het gelukt Neil? There are not many people restoring Toronado rim-blow steering wheels and these do look great. I have restored my own steering wheel but without the rim-blow switch I installed a push button under the black rubber centre. I was more interested in the wooden part on the rim. Er zijn weinig mensen de herstellen Toronado rim-blow stuurwielen en deze ziet er geweldig uit. Ik heb mijn eigen hersteld zonder de rim- blow switch, ik installeerde een drukknop onder de zwarte rubber center. Ik was meer geïnteresseerd in de houten stuk op de velg. little more information would be greatly appreciated since every rim blow wheel owner will need some sort of restoration on it!